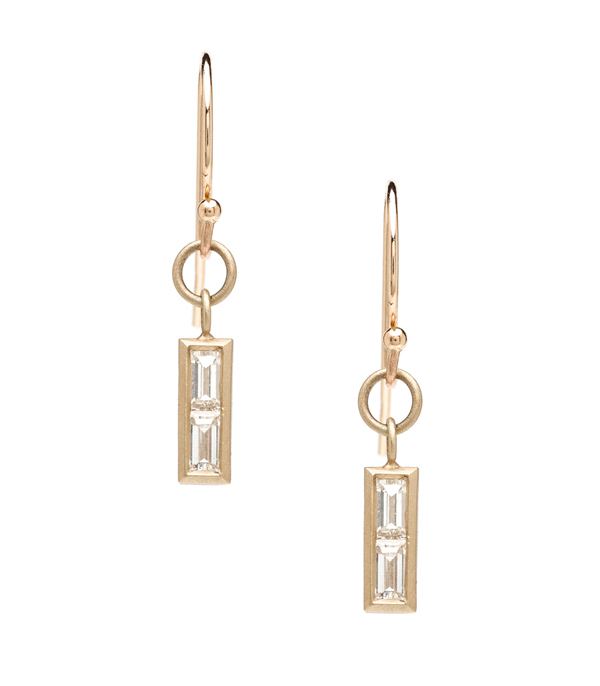 We’ve raised the bar with these 14K elongated diamond baguette dangle earrings! So sleek and modern. (approx. 0.49ctw). These understated earrings are every girl’s best friend: wear them with your favorite little black dress, at the office or to a casual brunch with the girls. What a wonderful gift for the girl who loves to accessorize with a minimalist style!